Ardrich Limited believes the responsible use of personal information is critical to enable the Internet to reach its potential as a tool for personal and professional activities. In line with the Privacy Act 1993, Ardrich Limited is committed to respecting your privacy. You can visit www.ardrich.co.nz without telling us who you are or revealing personal information. You may choose to provide us with information such as your name, home or business address and e-mail address. 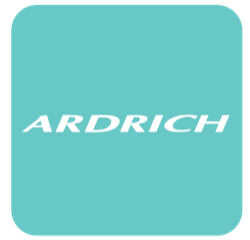 For example you may choose to purchase a product directly from our Ardrich Limited website, subscribe to the ‘Keep me up-to-date’ service, or you can request specific information on products or services. When you give us personal information we will let you know how we will use it. We will also take appropriate steps to protect the information you share with us, including using appropriate technology for credit card data used in electronic commerce transactions. When Ardrich Limited receives information about your session or about you, we may use it for research or to improve our site and services. We will ask if you want us to use that information to continue contact with you – for example, to send you new product information or notification of special offers. If you do not want us to contact you, you can choose to ‘opt out’. In general on www.ardrich.co.nz, IP addresses (the Internet address of a computer) are logged to track a user’s session while the user remains anonymous. We analyze this data for trends, such as which parts of our site users are visiting and how long they spend there. In general, we do not link your IP addresses to anything personally identifiable to you. If we wish to do this we will give you the opportunity to ‘opt out’. Your payment is processed through eWAY Payment Gateway. eWAY secures all your customer and credit-card data with military-grade software and servers, and the highest level of encryption available. Ardrich Limited will not store or transfer any of your credit card information. All data is transferred using eWAYs secure servers. If you have any questions or comments about our privacy practices, would like to stop receiving information from Ardrich Limited, or would like to correct or update information provided to Ardrich Limited via our website, please contact us by either clicking on the ‘contact us’ button on the bottom of every page on www. ardrich.co.nz, or by sending an e-mail to enquiries@ardrich.com.au.